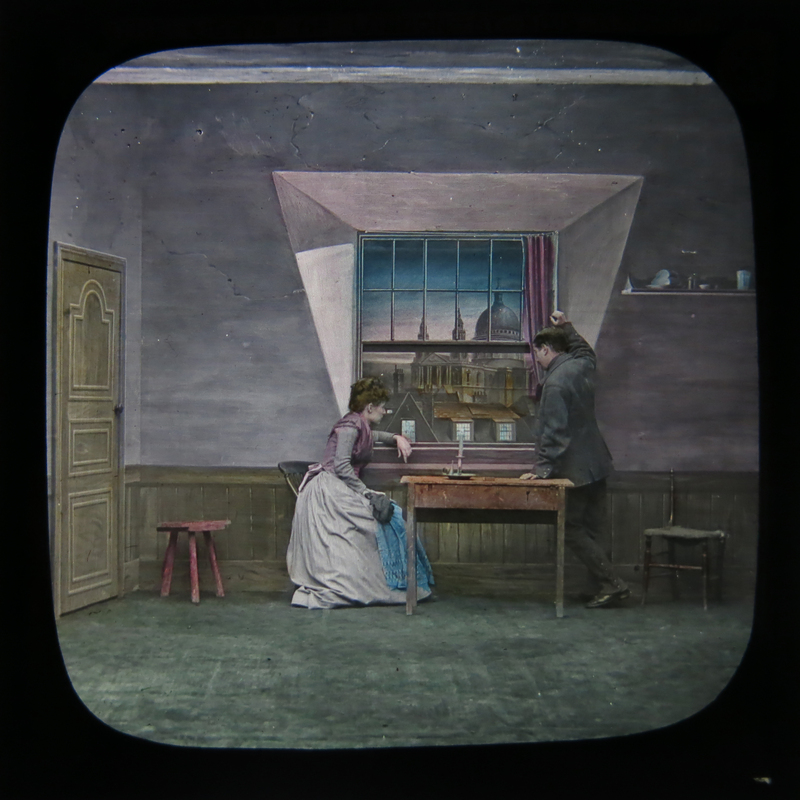 I am continually failing at controlling my addiction to buying magic lantern slides on ebay. I have just received in the post two remaining life-model slides out of what had originally been a set of four made, Richard Crangle’s estimable Lucerna magic lantern web resource tells me, by York & Son in 1892 to illustrate the 1880 poem by the massively famous melodramatist and social reformer George R Sims. O Lights of London town. But brought them little gold. Crept down a country road. I love the zoom-in from distant St Pauls, framed by trees in the first slide and barely visible except perhaps in projection, to close-up St Pauls (in exactly the same spot on the screen) framed by the garret window in the second slide. I love the way, in the second slide, the poverty-signifier of the bare walls visually constricts London down to the single schematic London logo. Sims used the same theme for his smash hit play The Lights of London, which was filmed twice in the twentieth century, most recently in 1923. 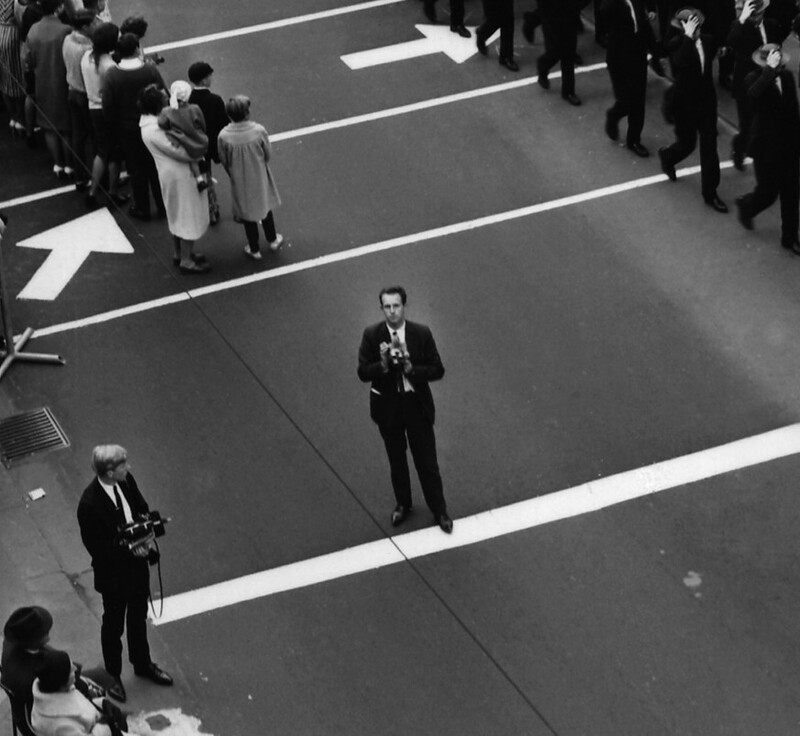 Of course subsequently these something more, walk on the wild side thematics permeated popular culture. Although, perhaps nowadays the urban moths of pop songs, films and art are more likely to be single chancers, rather than eloping couples. The Lights of London, slide 2 of 4. The Lights of London, slide 3 of 4. Posted on August 14, 2015 by martynjolly. 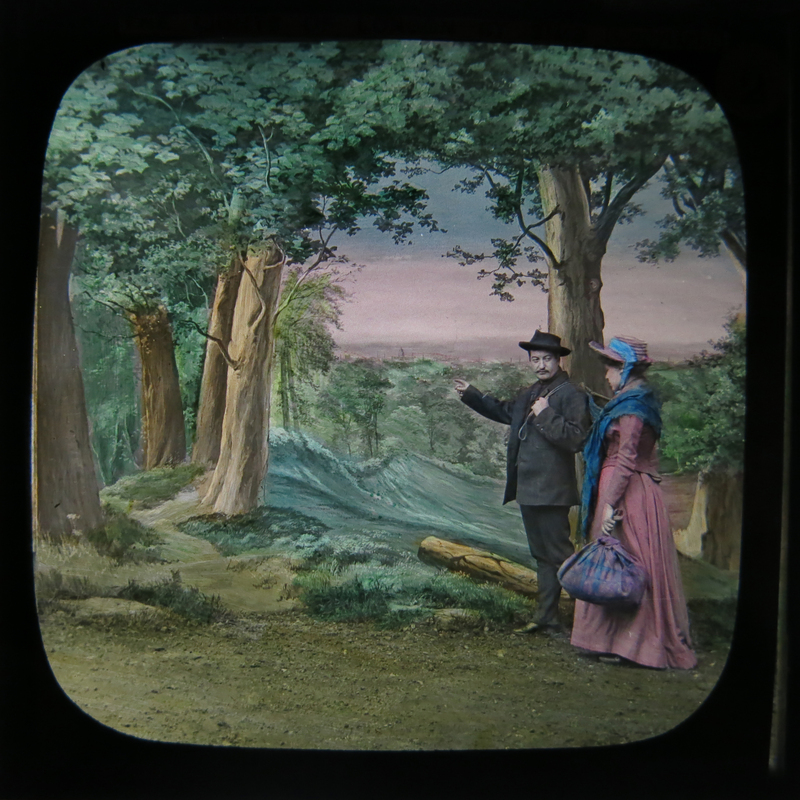 This entry was posted in Blog and tagged 2015, Cities, London, Magic lantern slides. Bookmark the permalink.